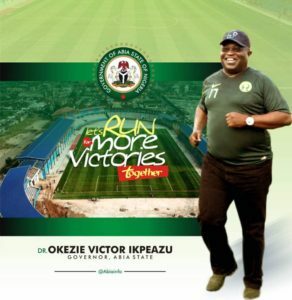 I read with derision the monumentally false claim by one Chijioke Chukwu, an aspirant to the Abia State House of Assembly on the platform of the All Progressives Congress, APC, wherein he said that the Governor of Abia State, Dr. Okezie Victor Ikpeazu, “has done nothing in Abia State”. In the report featured by “Daily Post” on Wednesday, May 16, 2018, the said Chijioke descended freely into the abyss of malicious sophistry to make several puerile and facile comments that are characteristic of the political party he represents. 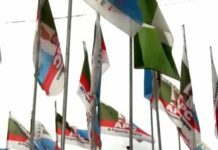 But for the reason of putting the records straight, one would have ignored such characters as the Abia House of Assembly aspirant who fly the flag of a party whose stock-in-trade is nothing but falsehood, hypocrisy, endless bickering and violence. The claims that “If you come to Abia now, salaries are not being paid”, and that “If you go to health care facilities in Abia, (it) is like a mortuary”, are not true. 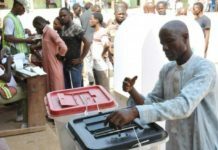 In Abia State, a huge percentage of the workforce is up to date in their salaries. 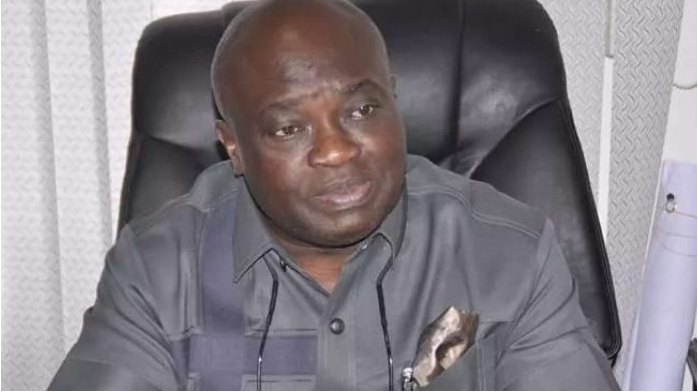 The over-bloated wage bill which saw the Ikpeazu administration weed out ghost workers and save the State the whopping sum of N600m monthly has also boosted the capacity of the state to be up to date with salaries of workers except for a few which government has concluded arrangements to clear soon. 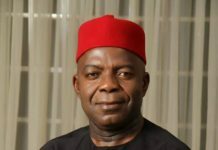 The impression that, “salaries are not being paid” in Abia, is false and deliberately exaggerated for political reasons. It is worth noting that Abia pays the highest wage per worker in the entire southeast. While other southeastern states have either retrenched massively, or slashed workers’ salaries, Abia, under Ikpeazu, has refused to do either, even when there are pressures and otherwise germane reasons to do so. This is why in Abia State today, except for the Academic Staff Union of Polytechnics, ASUP, no worker or union is on strike in the whole of Abia State for issues bordering on salaries or any other industrial matter. On health, one does not need to remind the Chijiokes of this world that Aba General Hospital which had gone moribund since 2010 was promptly reopened by the Ikpeazu administration and has since been working to full capacity. There is hardly any community that is not being serviced by one or two of the 292 primary healthcare centres in the state. Apart from the general hospitals at Aba, Umuahia, Isuikwuato, Ohafia and Obingwa (the last two commissioned by Ikpeazu administration in 2016) diligently sustained by the administration of Dr Victor Okezie Ikpeazu, there are three new general hospitals at Okeikpe in Ukwa West LGA, Arochukwu and Ikwuano which would soon be commissioned by the Abia State government. This is in addition to a new one being constructed at Nkporo in Ohafia LGA and the other two tertiary health institutions of Abia State University Teaching Hospital and the Aba Specialist Hospital. The only disruption in service in these hospitals is the one occasioned by the current JOHESU strike action nationwide. 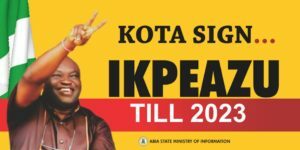 Despite this, Dr Okezie Ikpeazu as a visionary leader had envisaged such an unfortunate situation as the one created by the JOHESU strike, and had put in place a seamless framework using ICT to ensure that no matter what happens, the effects of such strike actions by health workers would have only minimum effect on people of the state when he recently launched the “Dial-a-Doc” Tele-Health Initiative where Abians can conveniently consult a doctor from the comfort of their homes and get life-saving medical advice even without visiting a hospital just by dialing a number. It is not only uncharitable, wicked and ungodly but it is also inhuman for anyone to claim, in the name of politics that “if you add the number of roads Ikpeazu government is claiming to have done, (it) is not up to 30 kilometres”. As a starter, the Ndioji-Ndi Okereke-Arochukwu road alone nearing completion of work by the Ikpeazu administration is 34 kilometres with a bridge spanning 70 metres. Before now, the falsehood being spread by these opposition elements in the state was that Ikpeazu was not constructing any road but when the Ikpeazu administration reeled out an almost unending list of roads they have done in their first 33 months in power, opposition members automatically graduated their narrative from “Ikpeazu is not doing any road” to “na only road we go chop?” and now they ridicule themselves to limiting it to only “30 kilometres”. Although the Faulks Road at Aba is measured to be 4.7km, the road had stubbornly defied heavy resources invested in it in the past, and the expertise, foreign and local, hired by past administrations to find a lasting solution to its recurring failure. Thus, the amount spent on the road by past administrations without success is reportedly huge enough to construct a 75-kilometre road elsewhere. This was the situation until Ikpeazu decided to approach the road’s defiance with a painstaking scientific approach that traced its consistent failures to the perennial flooding problems associated with the area, hence, another 5.6km underground water channel was constructed to collect flood water from flood-prone areas including Faulks Road to Waterside. Today, Faulks Road as it is, is certified to last a minimum of 30 years. The quality of the road is Ikpeazu’s signature on all roads constructed by him; his drainage system effortlessly combines beauty with content. After much torrential rains this year, residents of Aba finally confirmed and heaved a sigh of relief that their nightmare is over for good. It was not like that before now. The sordid state of Aba was so bad that the rainy season rather than be a blessing was like a curse to the people of the city because of the usual perennial flooding that ravaged it during such seasons leading to abrupt disruption of businesses and loss of properties especially considering its affinity to the popular Ariaria market. 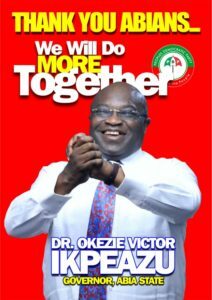 All that now is in the past, thanks to Okezie Ikpeazu. In just 33 months, Governor Ikpeazu has completed 56 road projects while another 79 are ongoing with quality drainage systems and a good number of them with streetlights. Some of the completed roads done by the Okezie Ikpeazu administration and which can be verified by anybody at any time include: Kaduna Street, Umuwaya Road, Road II, Federal Lowcost Housing Estate, Niger Road, Uwalaka Street Link Road to Factory Road, Ubakala Street, Warri By Club Road, Bende Road, Army Checkpoint, Bank Road, Abia Tower Round About, Road 2 in low cost Housing Estate, Road 8 in Low Cost Housing Estate, Abam Street and Awolowo road, all in Umuahia. 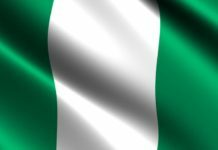 Others are Kamalu Road, Ukaegbu Road, Umuola Road, Umuocham Road, Umule Road, Ommene Drive, Jubilee Road, Ehi Road, Hospital Road, Ube Street, Adazi Street, , George’s Street, Echefu Road, Enuc Road, St. Michael’s Road, Azikiwe Road, Pound Road, Owerrinta Road, Week’s Road, Park Road, School Road, East Road, Okwunauka Road, Cameroun Road, Queens Road, , Bata-Railway Crossing-Brass Junction, Ibadan Road, Aharandu Road, Onyebuchi Road, Umuehigbu Road, Asphalt Overlay of 1.3km dualized Aba-Owerri Road (2.6km single lane and channelization of Aba Phase I), Ovom road, Ogbor Hill Mosque Street, Umuatako road, Owerri road off Okigwe road, Chima Nwafor road Umuojima Road all in different parts of Aba. 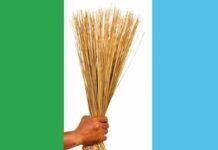 The others in different areas of the state are Nbawsi-Umuala road, Isiala Ngwa North, Okon-Aku Main Bridge, Ohafia LGA, Ehere Road, Obingwa LGA, Imo Ndikpa Bridge, Umunneochi LGA, Umuojima-Owerrinta Road with Spur from Owerrinta to Umuocheala, Isiala Ngwa South/Obingwa LGAs, Ugwuezi road Abiriba (ring road phase 1) Ohafia LGA, Okobo bridge along Abam-Ndi Oji/Ndi Okereke-Arochukwu road, Erosion Control Works at (6) Spots Along Uzuakoli-Akara-Ohafia Road (10km), Bende LGA including Imenyi, Asa Umuka-Ugwunagbo Obohia Junction road, Ugwunagbo LGA. 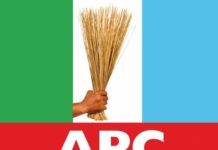 The reason I have named these projects and their locations is for anyone to be able to independently verify them and judge for themselves if APC in Abia State is not living true to type as harbingers of falsehood, hypocrisy and desperation without the good of the people at heart. I will be restrained by lack of space from mentioning the other 79 projects that are ongoing all over the state. 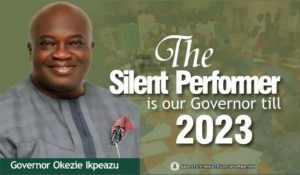 But from the foregoing, it is obvious that Ikpeazu is indeed a silent achiever and no matter the antics of opposition elements in Abia State, he will not be distracted. His works will continue to speak for him. By Jude Ndukwe —Jude Ndukwe is a political commentator/analyst. He sent this piece from Umuahia.